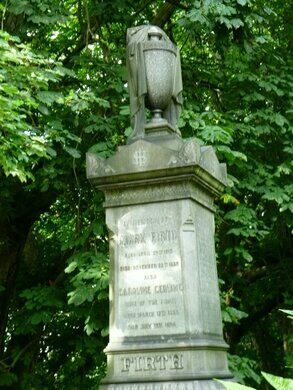 Cemetery established by the Victorians as a solution to the overflowing graveyards. 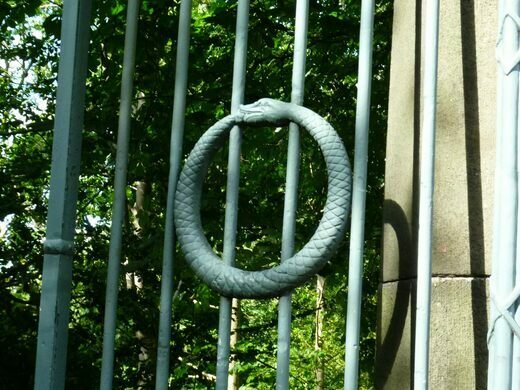 Walking down “Cemetery Avenue” in Sheffield, down a street of ordinary houses, you find yourself confronted by a massive Egyptian Gate, sculpted with two coiled snakes holding their tails in their mouths - the entrance to the Sheffield Cemetery. One of the last remnants of the Bessemer process that revolutionized steel production during the industrial age. One of the last doorless, continuously moving elevators still in use in the U.K.
An enormous steel waterfall is a nod to the substance that shaped Britain's Steel City. 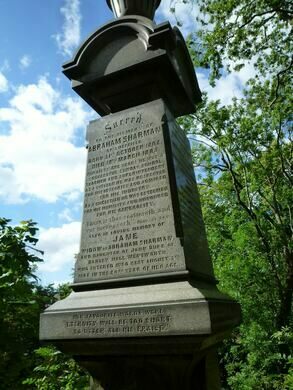 Established by the Victorians as a solution to the overflowing graveyards brought about by the Industrial Revolution, the Sheffield General Cemetery opened in 1836. 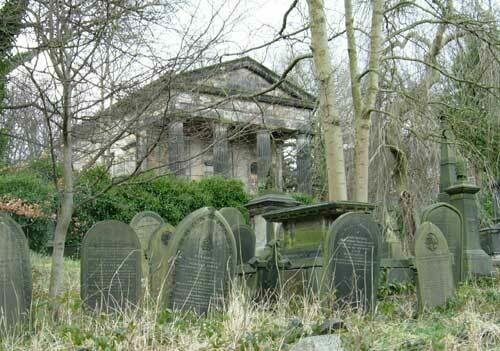 The Cemetery contains many notable buildings and structures, and the Egyptianized architecture was popular in the day. 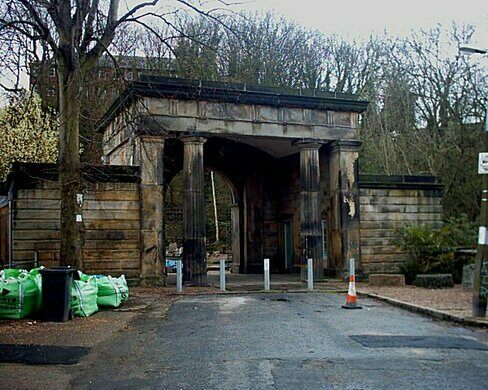 In addition to the Egyptian Gate, a Gatehouse is built over a brook in classical architecture with Egyptian features. 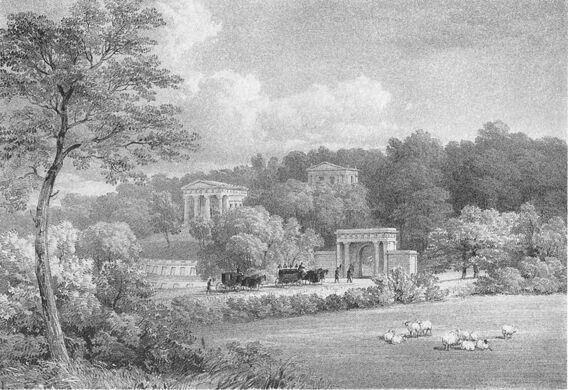 Some suggest that it might have been built over the brook to symbolize the entrance into the graveyard with the crossing of the river Styx in Greek Mythology. 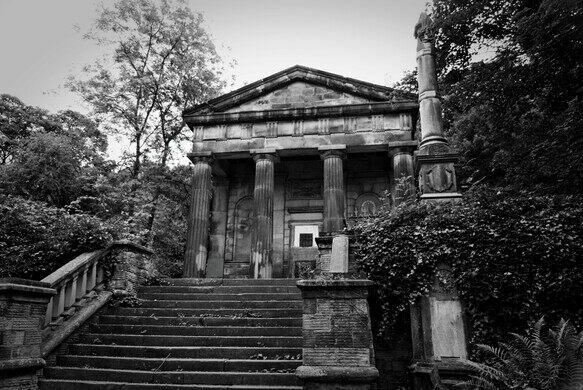 The cemetery also holds a Nonconformist chapel (Nonconformists were Protestant Christians who refused to follow the rule of the Church of England), similarly built in a classical style with Egyptian features. On a sculpted panel above it is a dove representing the Holy Spirit. 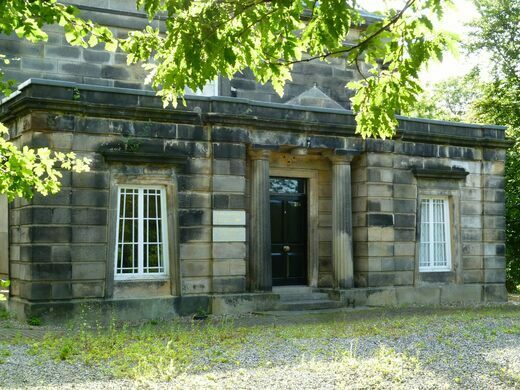 In addition to the Nonconformist chapel, an Anglican chapel was added in 1850. 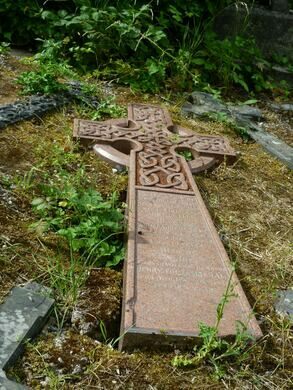 But unlike the other buildings in the cemetery, it is designed in the Neo-Gothic style. A wall entitled “The Dissenters’ Wall” divides the older Noncomformist part of the cemetery from the newer Anglican grounds. 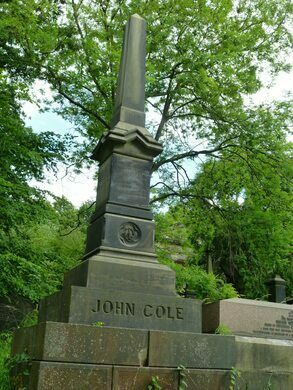 The cemetery also has two rows of catacombs holding ten bodies, built into the hillside. 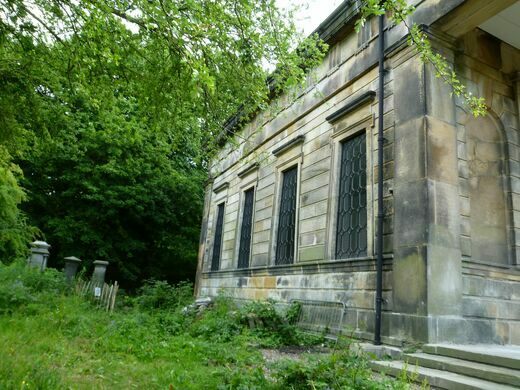 With over 87,000 burials, Sheffield cemetery closed for burial in 1978, but is listed today on the English Heritage National Register of Historic Parks and Gardens, and is managed by a local community group. Long-secret natural history museum, featuring the skull of a "Terror Bird." Largest island in the Baltic Sea experiences such idyllic weather that roses bloom in the middle of December.